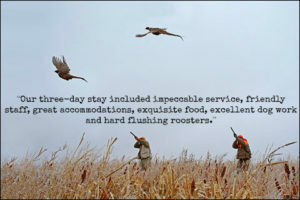 Paul Nelson Farm is featured in Shotgun Life, an online magazine dedicated to the best in wing and clays shooting. The story, found here, is written by renowned photographer/journalist Gary Kramer. Savor his wonderful writing and always-extraordinary photography, which accents the essay.